I believe everyone deserves a second chance at redeeming life. Be it two legged or the four legged. We get thrown into situations by force or choice, and when that moment of break or make stares at us, we need courage, immense will power and motivation to get to the other side. And along with all that, is the need for support, a lending hand, an open heart and people not to sit in judgment, and most of all we need to find it in ourselves to be able to forgive and give ourselves a second chance. No mean feat, considering the pain, the guilt and loss that dogs Mary Hannah Gallo everyday of her life. Working as a therapy dog trainer for Second Chance Ranch Animal Rescue and a counselor is not easy for Mary Hannah, as everyday reminds her of a life before Second Chance Rescue. A bust at a meth house brings her up close and personal with a painful past, her one night pleasure, AJ Parker and dogs in abuse. Detective AJ Parker joins small town police force leaving behind undercover work that almost ruined him. Little does he realize that very soon Mary would become his Kryptonite. Working together with her as they train the rescued dog Holly, AJ realizes he needs to get over his scars as much as Holly, the dog rescued from the meth house. Working with Mary Hannah brings out his feelings of protectiveness and love that he had been avoiding. But Mary Hannah’s past collides with AJ’s scars, and they both need therapeutic help and who better than Holly to be the divine intervention! Catherine Mann is a rescuer and nurturer by nature and all that love, energy ad passion flows into her stories. 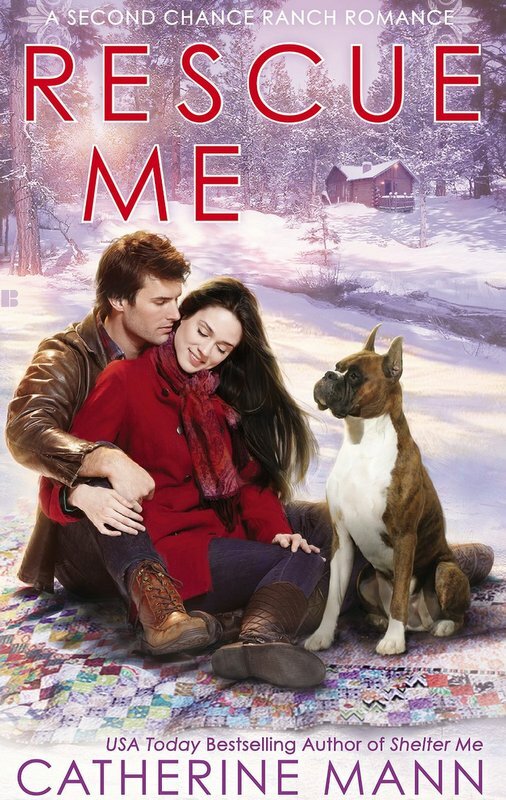 “Rescue Me” is so eloquently titled, as every character in the story need to be rescued at some point or the other, be it from the past, be it the events happening in the current, be it humans or animals, or be it from danger close to home. Rescue Me is an emotional ride of pain, love, support and most of all the possibility of second chances, only if we have the courage to keep our hearts open, and accept the promise of a better tomorrow. « Beyond Limits – Terrorism ‘N Patriotism Collide!